It's every enthusiast's dream to get a four-door car that merges sportscar performance with the practicality of an everyday vehicle. You attack those twisties over the weekend and drive it to work, much more sedately perhaps on the other days. There are quite a few cars that have produced such a successful formula but very few have evolved to something as legendary as the M3. 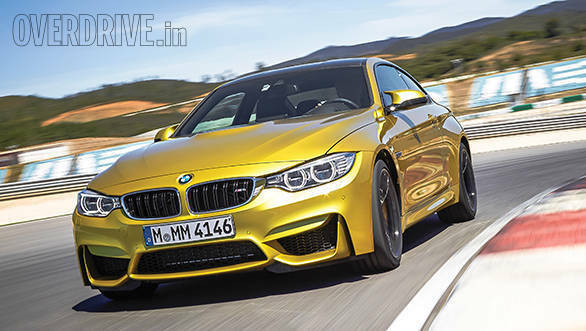 This BMW has merged the two worlds with remarkable ease over the last three decades. 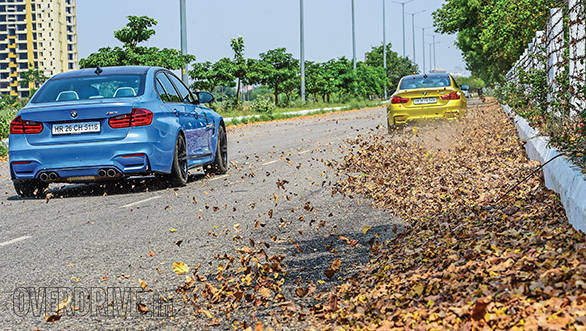 And now, in its fifth iteration, the M3 claims to be quicker, faster and more fun than ever. So we decided to test not just one but two Ms on Indian soil to figure out whether there was any truth in that matter. Why do we have two cars you ask? 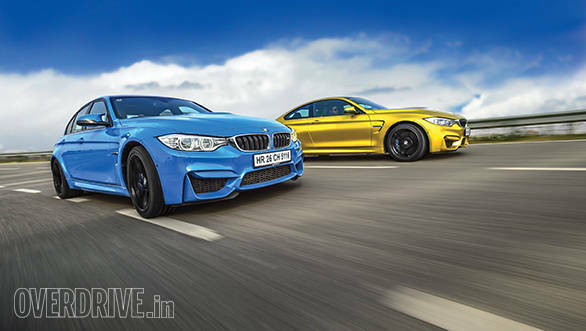 Well, because BMW launched the sedan and the coupe together, unlike last time when the couple was introduced later. But first things first, the coupe is no longer the M3. BMW calls it the 4 because it is now based on the 4 Series. Having said that when it comes to looks, both feature a common front end  it's an angry face and it suits the character of the car. The aggressive bumper features huge air intakes while the wide fenders and the power dome on the bonnet add to the mean presence. These aren't just cosmetic changes but are also functional, the vents supply a lot of air to cool the engine and brakes, while the power dome creates space for the intercooler. The only common elements that are shared with the regular 3 and 4 Series are the headlamps and merging kidney grille. The car sits much lower too and is most obvious when viewed from the side. The fenders feature vents that merge neatly with the shoulder line. 18-inch wheels are standard or you can even opt for 19-inch units like the ones seen here. The long front end, wheelbase and short overhangs are typical BMW traits and the M additions only go on to make it look even more dynamic. But move to the rear and the similarity ends. 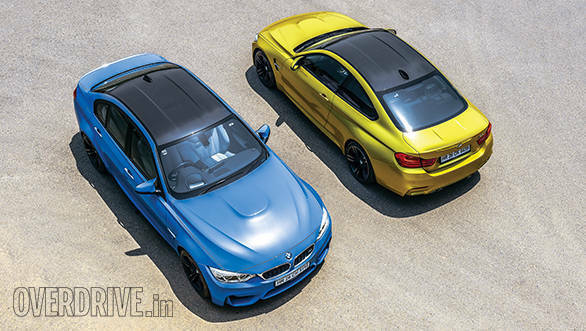 The M4 being a coupe features a sloping roofline and misses out on the additional doors while the M3 looks most familiar since the silhouette is a lot like the regular 3 Series sedan. Overall length of both the cars remains the same though. While a carbon-fibre roof was offered only in the last generation coupe, this time the sedan also gets one. The roof not just looks the part, thanks to the exposed carbon, but is also much lighter and as a result aids performance. And that groove, which blends well with the hood and boot lines, only makes it look that much cooler. From the back however, it's the M4 that looks sportier. That's because of the sleeker tail lamps, the more angular window line and the integrated spoiler. The rear bumpers on both mimic the intake design at the front while the diffuser aids the aerodynamics. 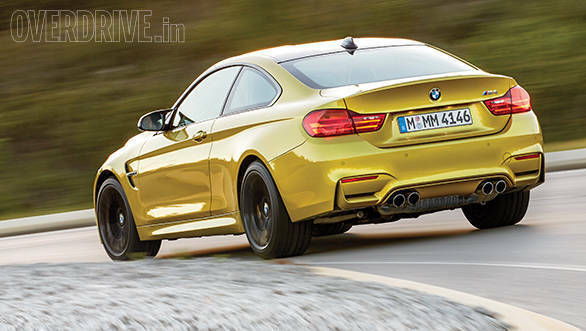 But then since the M3 has a slightly narrower rear with a similar track as the M4, the wheels stick out more. As a result, the fenders boast extra bulk. Both cars feature signature quad-exhausts that look and sound great. Step inside and both cars have a similar interior. There are a lot of sport elements and one can choose between various trims and upholstery too. We preferred the light shade leather seats and carbon inlays seen in this M3. 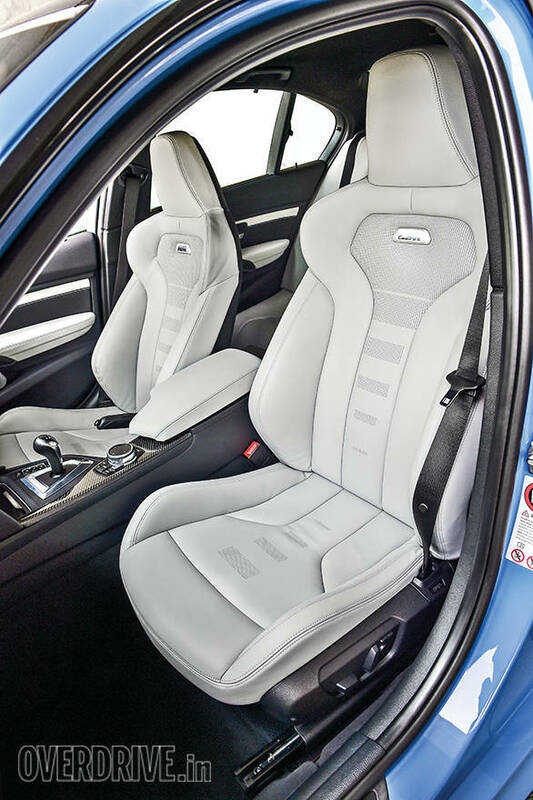 The seats in fact take visual inspiration from a racing bucket seat while offering good support and adjustable bolsters. Surprisingly, both cars offer quite a bit of room for the rear passengers. The rear seats even fold and can convert the M into a fast cargo shuttle if you like. And now we come to the heart of the matter, that part of every M that is always the talking point. 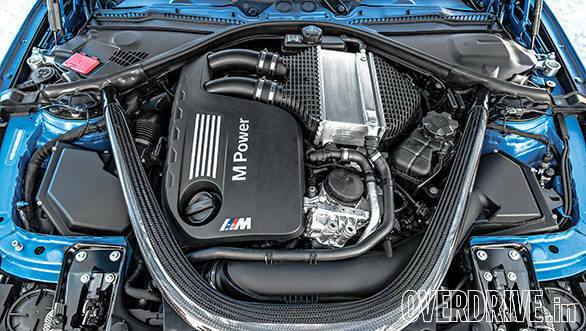 Almost every generation of the M3 has featured a straight-six motor except for the previous edition, which had a V8. But now, keeping with the trend of smaller motors, BMW has gone back to offering a straight-six. Except it's now turbocharged. The 3.0-litre motor produces a little more power than the V8, 11PS more, taking the number to 431PS but it produces an incredible 550Nm of torque. That's a 40 per cent hike. And to add to it, all of this power is produced across a wide rev band, making it a unique turbo motor. Not to forget that the two turbochargers are now smaller in size and faster to spool. Which translates into almost zero turbo lag. Hit the accelerator and you'll be thrown back to the seat and will stay there unless you take your foot off. This along with better airflow and intelligent valve openings improve throttle response and fuel consumption too. All the power is transferred via a dual-clutch transmission like in the E90 M3 but to handle the extra torque, a newer generation 7-speed unit takes control. Which means seriously quick shifts and also a transfer of power without interruption. You can also just press a button and opt for slower shifts that are a lot smoother. As with the previous gens, there's a lot of technological wizardry that comes standard, including a launch control feature. 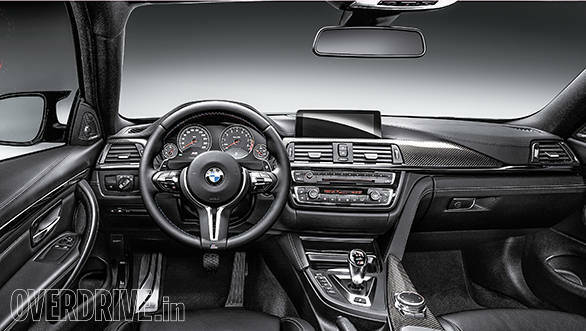 However unlike another German sportscar that was featured very recently on OVERDRIVE, launch control in the M3/M4 doesn't get activated that easily. You do need to memorise the activation procedure more than once. However, we still managed to record a super rapid 4.9-second run to 100kmph on both the Ms. To give you some perspective, that's quicker than the mighty 560PS M5, winner of our 0-100kmph test. The cars will max out at 250kmph as they are electronically limited. Fuel economy never takes the hit, 7kmpl overall makes it more efficient than before. Like in the M5 and M6, there are various drive modes that can be chosen along with the various steering and suspension modes. It's also a treat to the ears, the exhaust note even during idle is high on bass and gets louder and sharper with throttle input. 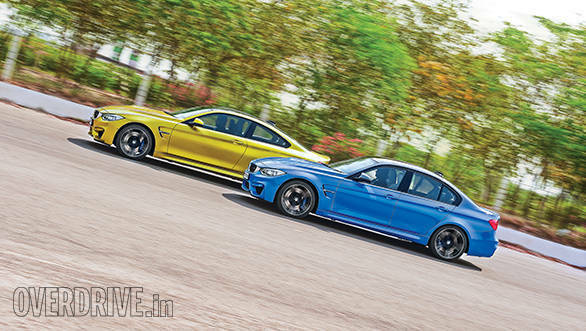 While the bigger Ms are more muted, the M3 and M4 sound angry and almost race-car like. 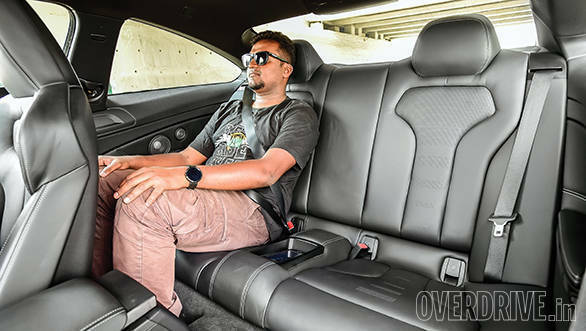 Less sound insulation and a rear subframe that doesn't feature any rubber bushings mean that the engine and exhaust growl is a lot more louder inside the cabin too, especially when the redline is nearing. Then there's the M differential that's basically an electronically controlled LSD. You can turn it off completely as well if you are into drifting but we obviously didn't try it out while driving around Delhi. All we can say is that these Ms love going sideways. The electric power steering in the M actually offers the best of both worlds thanks to adjustable steering assistance. There's perfect weight to give you that hydraulic steering feel. In fact to improve that all important feel, BMW engineers increased the amount of bushing that goes into the suspension over the standard 3 Series and developed a unique carbon-fibre strut brace mounted on the A-pillar (we spent a lot of time just looking at it). That's not all - the chaps even worked with Michelin to alter the shape of the tyre contact patch. The front tyre comes in contact with the road more as an oval for progressive tyre slip during cornering while the rear features a rectangular section for better grip. The new M3 and M4 may be tech marvels but still very much feel like analogue cars. They're the best handling M cars today and are up there with the top sportscars when it comes to sheer driving pleasure and dynamics. So then, is the M3 the best four-door sportscar today? Well, we have to wait until a certain rival rolls out soon from that small town in Germany called Affalterbach.